Released on: October 9th, 2018. Long before he was a big time Hollywood director, Sam Raimi took a bunch of friends out into the woods and shot a low budget 16mm horror film entitled The Evil Dead - the rest is history. Having gone on to become an undisputed classic of modern horror, 'the ultimate experience in grueling horror' has been released on DVD more times than most of us care to think about. 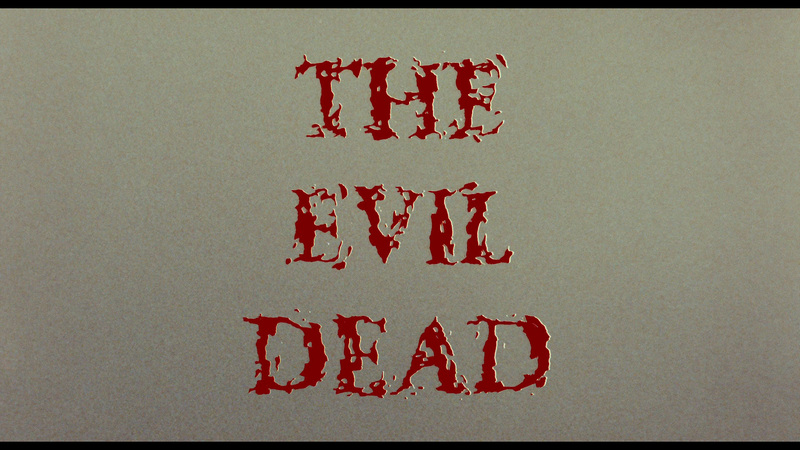 Whether it's the old Elite fullframe edition or the various Anchor Bay releases (be they bound in a smelly, latex 'Book of the Dead' or adorned in a fancy 'Ultimate Edition' box), the 2010 limited edition Blu-ray release from Anchor Bay or the unlimited release that followed, The Evil Dead has been released on home video A LOT. And now it gets the 4k treatment from Lionsgate. The plot is simple - a group of five friends, Ash (Bruce Campbell), Cheryl (Ellen Sandweiss), Scott (Richard DeManincor a.k.a. Hal Delrich), Linda (Betsy Baker) and Shelly (Theresa Tilly a.k.a. 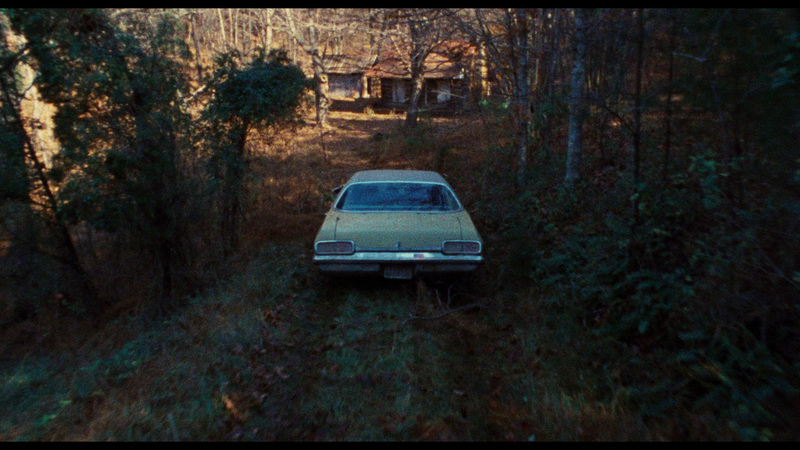 Sarah York) - travel together to a remote cabin the woods that they've rented for a little getaway vacation. When they arrive, the play a tape that they find where a professor tells of a Necronomicon, or, a Book of the Dead, that can unleash untold horrors from the spirit world into the physical world. Of course, by the time the tape finishes playing, the magic incantation has been spoken aloud and the demons soon begin possessing everyone in the cabin save for Ash, who is left alone to fight off the creatures who were once his friends or become one of them himself. While the plot isn't particularly complex (and it's a little derivative of Equinox), Raimi's first feature film works thanks to some clever camera work, creative make up and gore effects, a (b-movie) star making performance from Bruce Campbell and an undeniable sense of manic energy and enthusiasm. Raimi's camera rarely stops moving and the film is so completely determined and insane that you can't help but to become sucked in by it. The film wastes absolutely no time, benefitting from a remarkably quick pace which starts almost as soon as our characters get to the cabin and literally does not let up until the end credits hit. 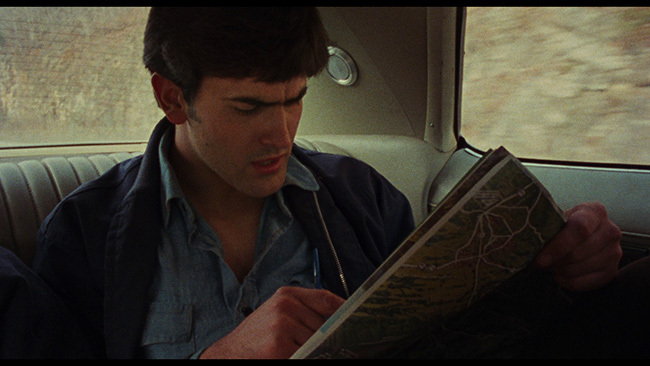 While Raimi's tight and quirky direction ensures that the film moves at a quick pace, the real star of the film is Bruce Campbell. While Campbell may have gone on to become a bit of a parody of himself, here he's young and brash and plays the role with enough square-jawed heroics and simultaneous baffled confusion that he really is perfect for the part. While he'd definitely ham it up more in the two sequels that would follow, here he's playing the role of Ash (which would soon become the character he is most synonymous with) a little more straight laced and the movie is better for it. The supporting cast all do a fine job with the three female performers, Betsy Baker in particular, doing a great job both in and out of makeup, particularly once the demons take over and give the ladies a chance to really delve into their parts. They may initially seem vapid and unnecessary to the plot, but once the evil kicks in, they make for some pretty memorable foes. 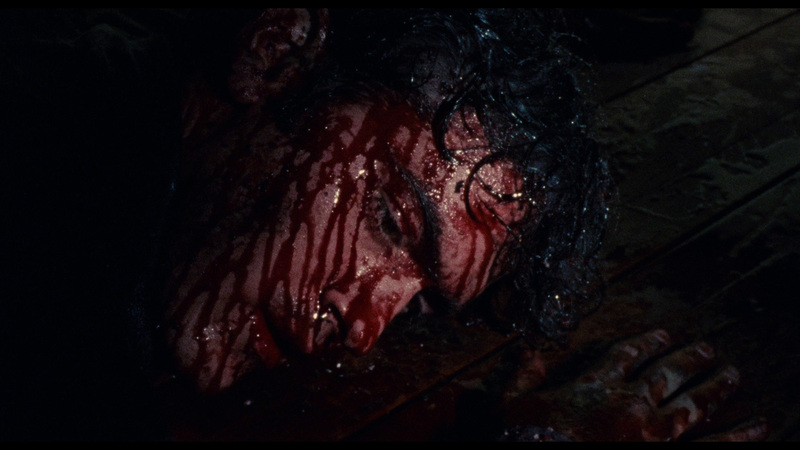 If the stylish camera work and fun performances weren't enough, there are the gore effects. 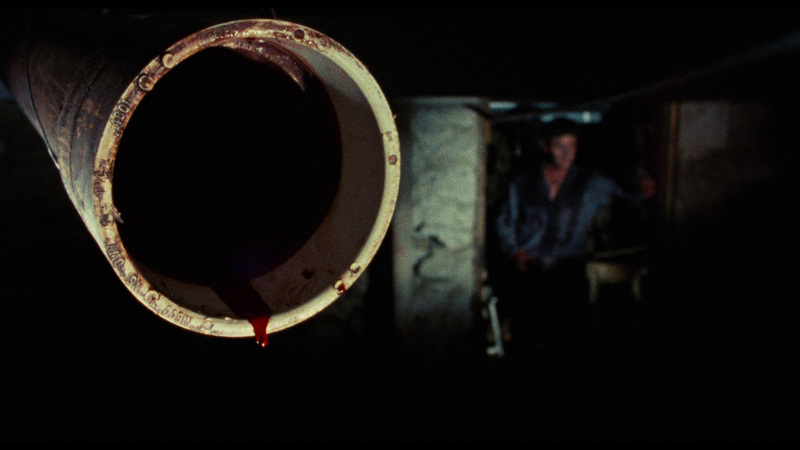 While this is hardly a 'gore film' in the style of nastier movies like August Underground or the campier early works of Peter Jackson, there's no shortage of on screen nastiness in the film to keep you unnerved for the last half of the picture. Highlighted by the infamous 'pencil to the ankle' scene (still cringe inducing after all these years! ), not all of the effects have aged well and some of the makeup looks a little chalky but for the most part, things hold up nicely considering the age, origins and budget that the crew had to work with. 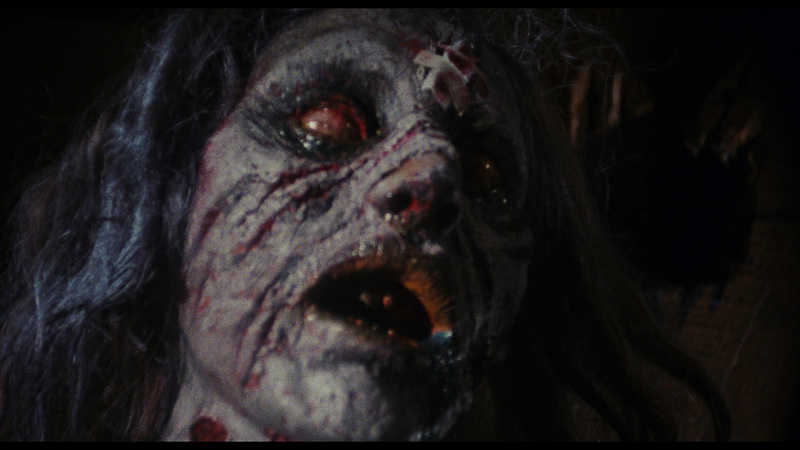 You've also got to appreciate the creativity behind the carnage, whether it's a flamboyant decapitation, a chainsaw attack sequence or some absolutely wild stop motion effects used to show the rapid decomposition of a certain character (complete with extra icky worms and bugs!) 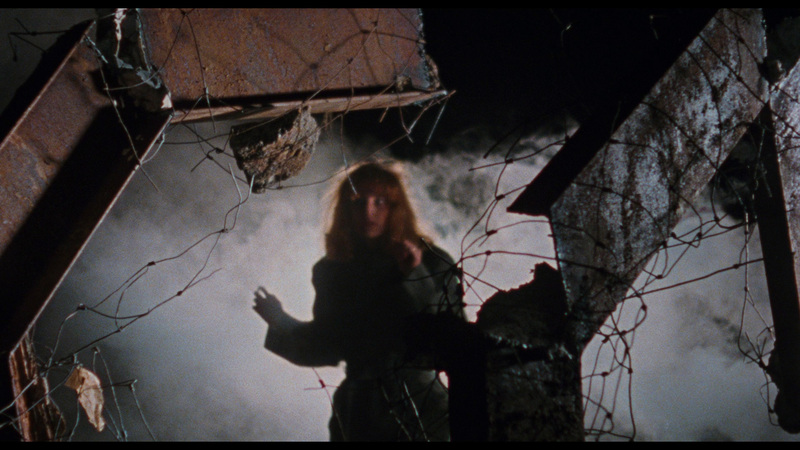 every penny of the film's effects budget made it to the screen. 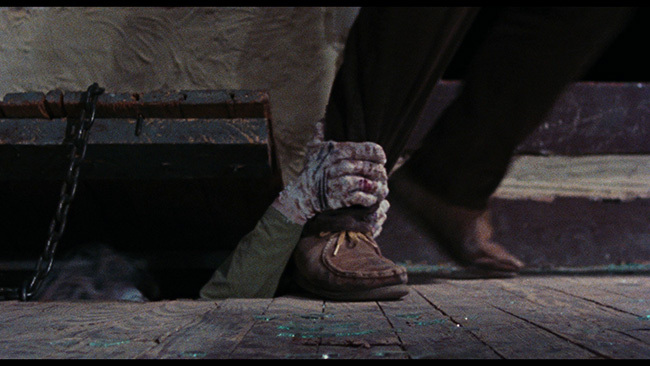 The film would be marketed as 'the ultimate experience in grueling horror' and while there are certainly scarier films out there, few match the intensity and ferocity with which this picture attacks the audience. If you want to pick holes in the plot, it isn't hard but that's not the point of the film. 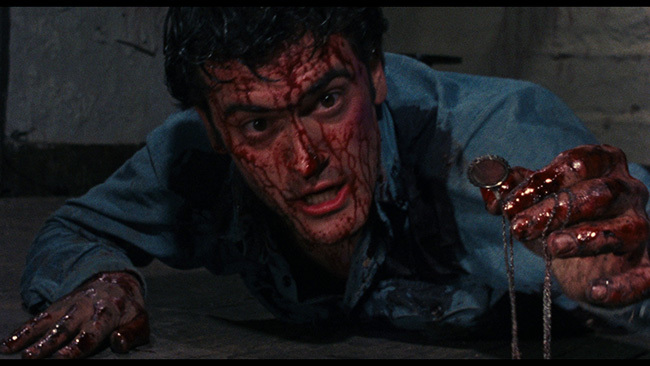 Raimi and company didn't set out to make a particularly thought provoking film and as such, there isn't a whole lot of story to delve into but in terms of sheer, visceral thrills, The Evil Dead remains high up in the loftiest echelons of fright films. Evil Dead makes its 4k debut on this UHD release from Lionsgate that comes complete with HDR and Dolby Vision. The 2160p HEVC / H.265 encoded image looks really nice and is framed at 1.33.1 fullframe. There’s a noticeable upgrade in detail and texture and we get considerably more depth to the image throughout, especially in the darker scenes. Black levels are nice and solid and skin tones look completely real. 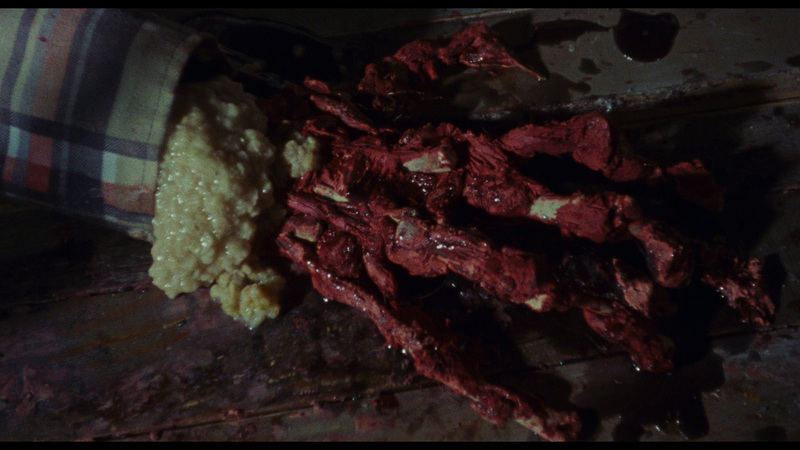 The special effects even look better here, the more vibrant color scheme adding just the right amount of extra nastiness to the gore. 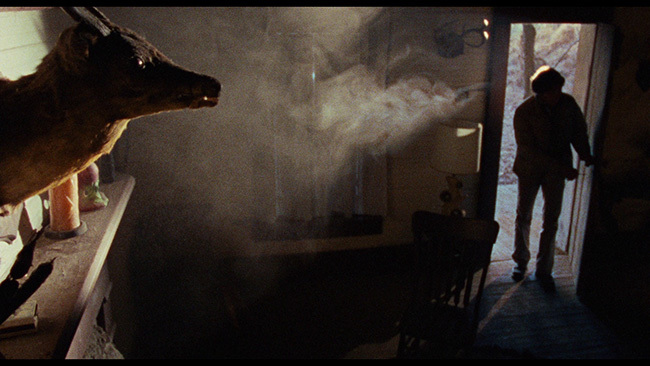 Those with an aversion to grain might not like the fact that the image doesn’t appear to have been DNR’d at all – this was a 16mm shoot so it’s grainier by nature – but purists should be rightly pleased with the film’s appearance. There are no noticeable compression issues and the picture is, thankfully, completely lacking in obvious edge enhancement of other visible filtering. The only audio option for this release is an English language Dolby Digital TrueHD 5.1, while subtitles are supplied in English, English SDH and Spanish. Purists may lament the fact that there's only a 5.1 track available, but the one that is here sounds quite good (it appears to be identical to the one on the older Blu-ray release). Those scenes where the camera flies through the woods and chases the different characters throughout the film have a nice, enveloping sense of impending doom to them thanks to some strong, though not overpowering, bass and a hefty low end in the mix. Dialogue is always clean and clear and there are no problems to report with any noticeable hiss or distortion. Directional effects are plentiful and well handled, creating a fairly immersive experience, the kind you don't always get with an older, low budget picture like this one. The screams and guttural sounds made by the possessed characters sound creepier than ever while higher sounding bits like the 'we're gonna get you' lines have some added impact and never sound too shrill or high pitched. Lots of great ambient noise, like creaking wood, dripping water or howling wind, help set the mood well and really this mix doesn't leave a whole lot to complain about. 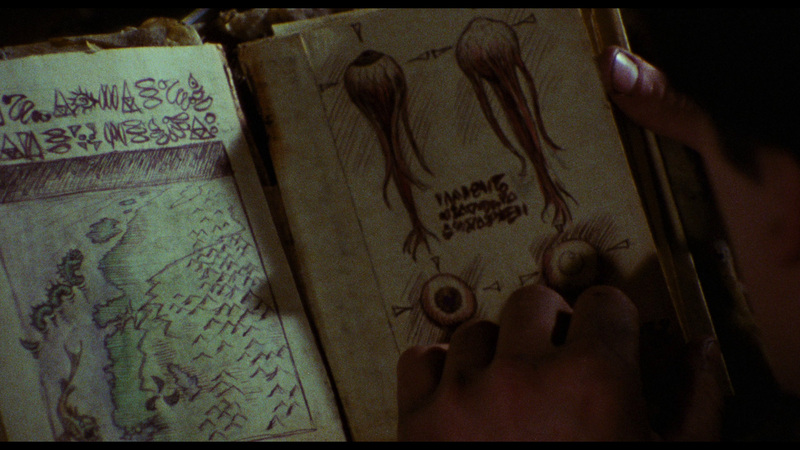 Note that the screen caps below are from the included Blu-ray disc, not the 4k UHD disc. The Blu-ray offers the film in both 1.33.1 and 1.85.1 and includes both English and French language options. 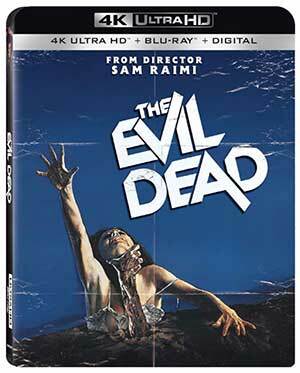 The only extra on the disc is the commentary track from the 2010 Blu-ray release featuring writer/director Sam Raimi, star Bruce Campbell and producer Robert Tapert and this is the only new extra on this release (the rest appeared on the previous The Evil Dead - The Ultimate Edition release that Anchor Bay put out in 2007). Those expecting the humor that has been so prevalent on the other commentaries that these guys have recorded for this film over the years might be a bit disappointed that they play things much straighter here. That doesn't mean that there isn't a ton of information here, because there is, but they almost seem a bit bored with the track. That said, if their enthusiasm has waned a bit, they still deliver a lot of interesting trivia about how and why they set out to make this film, casting it, stunts work, effects work, and most interesting, how they marketed it and how that marketing played such a huge part in its success. As this is a combo pack release, we also get a Blu-ray version of the movie containing the same commentary that is found on the UHD. Both disc fit inside a black Blu-ray-sized case that in turn fits inside a slipcover. Also included inside the case is an insert with a download code that can be redeemed for a digital HD version of the movie. The Evil Dead remains as exciting and intense as it's ever been and it really holds up well decades since it first amazed horror fans around the world. While the fact that this release carries over so few of the existing extras for the film is essentially criminal, the commentary is a good one and the 4k transfer does give the picture a pretty nice upgrade. That said, if history has taught us anything, it is that this isn’t likely to be the only release that the film gets on this format – but until the inevitable special edition happens, this is definitely the best looking version around. 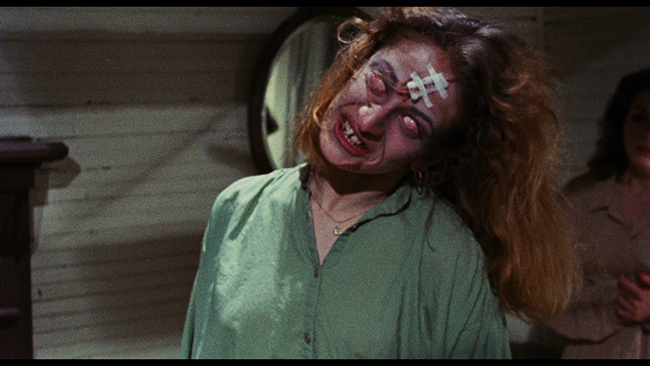 Click on the images below for full sized Evil Dead Blu-ray screen caps! Anyone know if the Blu-Ray in this set compares favourably to the South Korean version that was in the limited edition set with the second movie included? The Blu-ray disc appears is identical to the single disc release that came out in North America if that helps. I don't have the South Korean set to compare. The blu-ray is 1.85, and the 4K is 1.33? Nevermind, just read the review a little better haha. I think the South Korean had slightly different colour timing. I don’t know. It does have amazing picture quality though. If you ever have a chance to snag it, the package is well worth adding to a collection. The film was intended to be watched in 1.33:1.